Lord Hain says he “will not be silenced” after naming Sir Philip Green as the businessman who prevented the Telegraph from publishing allegations of sexual and racial harassment. Sir Philip has said it was “outrageous” for the peer to use parliamentary privilege to name him and will issue a formal complaint to the House of Lords. He has “categorically and wholly” denied the allegations. Lord Hain told BBC News he will not apologise for identifying the tycoon. Sir Philip said Lord Hain had failed to disclose financial links to Gordon Dadds, the law firm representing the Daily Telegraph. He says he believes Lord Hain’s actions, on Thursday, were a breach of the House of Lords’ code of conduct. But speaking to the BBC, the former Neath MP said: “I stand fully by what I’ve said in the House of Lords. I’m resolute about that. He said he has “complied fully” with all of his House of Lords obligations. Lord Hain previously “categorically” denied that he was aware of law firm Gordon Dadds’ work with the Telegraph and said the firm played “absolutely no part” in his decision to name Sir Philip. He is a global and government adviser at Gordon Dadds. 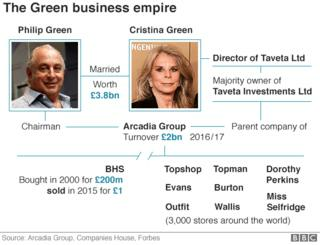 The law firm said Lord Hain had not obtained any information from it regarding the case, “including any information which would enable him to identify Philip Green as having any involvement in it”. The peer added that he had “stood for justice for the average citizen the world over all my life”. The Telegraph says that former employees of the businessman have accused him of sexual and racial harassment. The newspaper has said “substantial sums” were paid to five members of Sir Philip’s staff in settlement agreements which included a legal commitment not to discuss their alleged experiences. 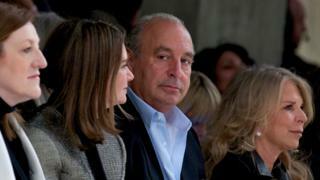 Sir Philip has “categorically and wholly” denied allegations of “unlawful sexual or racist behaviour”. 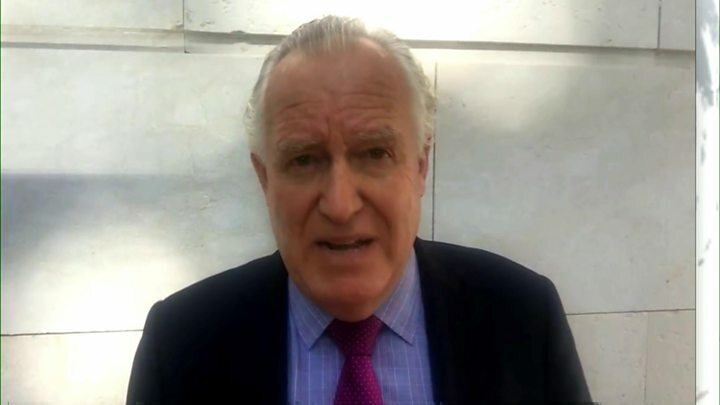 The Telegraph and the media at large were then entitled to report Lord Hain’s statement in Parliament, even though the injunction had been issued by the courts. Sir Philip is currently in Tucson, Arizona, but refused to speak to a Sky News crew who approached him there on Friday, telling them they were “being intrusive”. Janelle Mone’s video caused a stir, but you probably missed this the first time around.